To see how an exploratory factor analysis might work with real-world data, anonymous IT satisfaction survey data from 2014 was used for this light walk-through. The survey instrument itself was a revised inherited open-source survey. First, before data is used, it has to be downloaded accurately. One step was to recode the Likert-like scores with descending point values instead of ascending point values (Figure 1). The basic data structure of the extracted information was to have variables in the columns, and the row data were the cases. 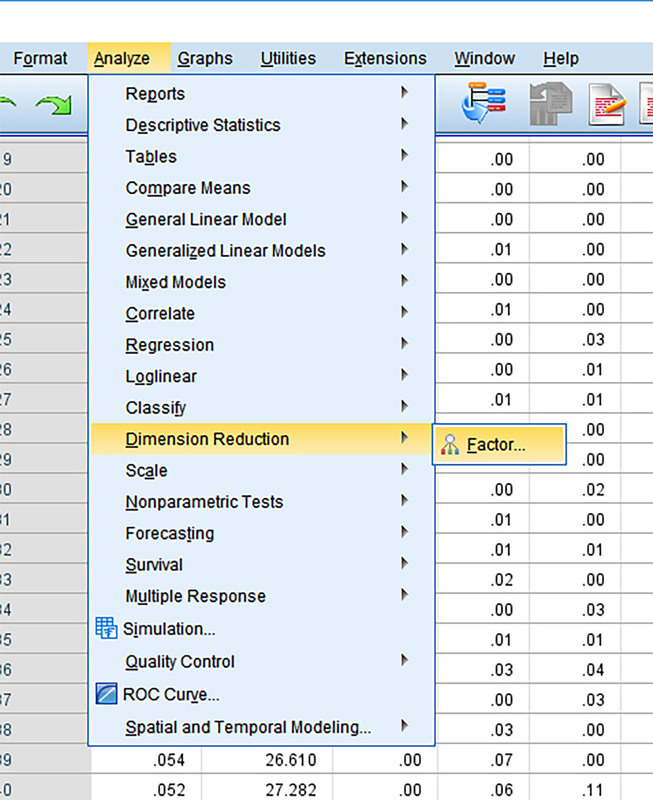 There are some data requirements before factor analyses may be run on the data effectively. Sufficiency of dataset and “some multicollinearity”. Because exploratory factor analysis is a multivariate statistical analysis approach, there have to be a sufficient number of variables that have some similarities among themselves to enable correlations (co-relating). In this survey, there were some 50 usable items for the analysis and 413 responses (but fewer fully completed cases). There have to be a sufficient number of cases (with complete response data per case or per respondent or per row) to enable the identification of factors, in a statistically significant way. Prior to the factor analysis, some tests were run on the data for “multi-collinearity.” Some level of multicollinearity is desirable because if variables are unrelated (totally orthogonal), they are not likely to cluster around some related factors. If they are too collinear, then the results might be muddy, with extracted factors being hard to define. Open a new dataset (wait while it generates a preview). 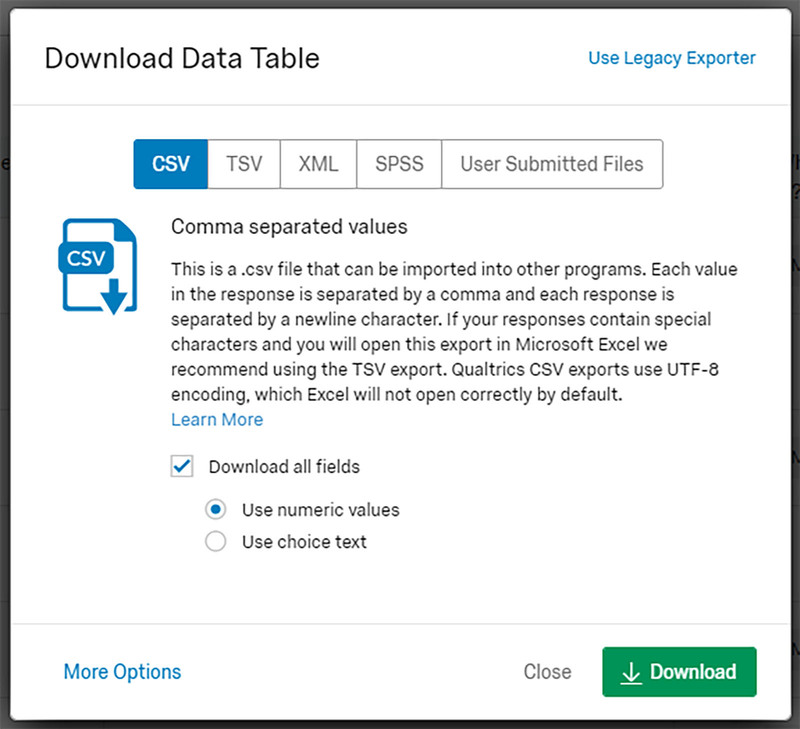 Work through the Text Import Wizard (for the .csv file). 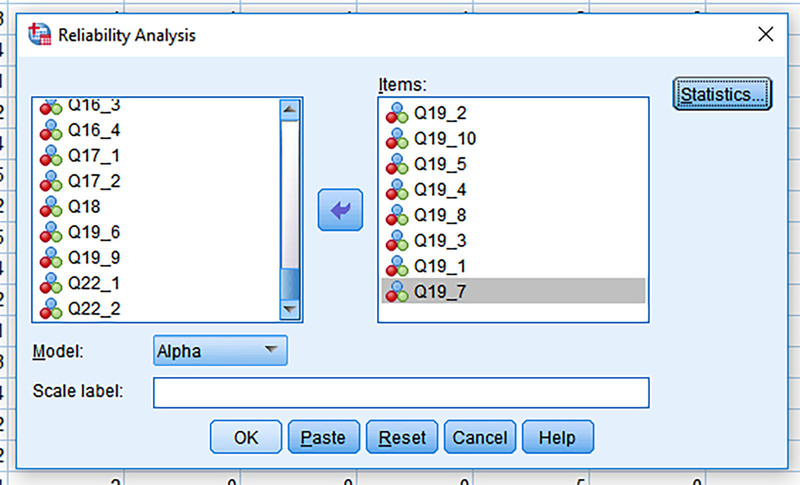 Clarify how the variables are arranged, where the variable names are located (usually in Row 1), the symbol used for decimals, how the cases are arrayed (by rows), the delimiter identification (comma), how dates are represented in the dataset, and so on. Sometimes, it takes several go-arounds to get the underlying data in shape (in Excel first) before it may be opened into SPSS (Statistical Package for Social Sciences). Go to the Analyze tab in the menu. 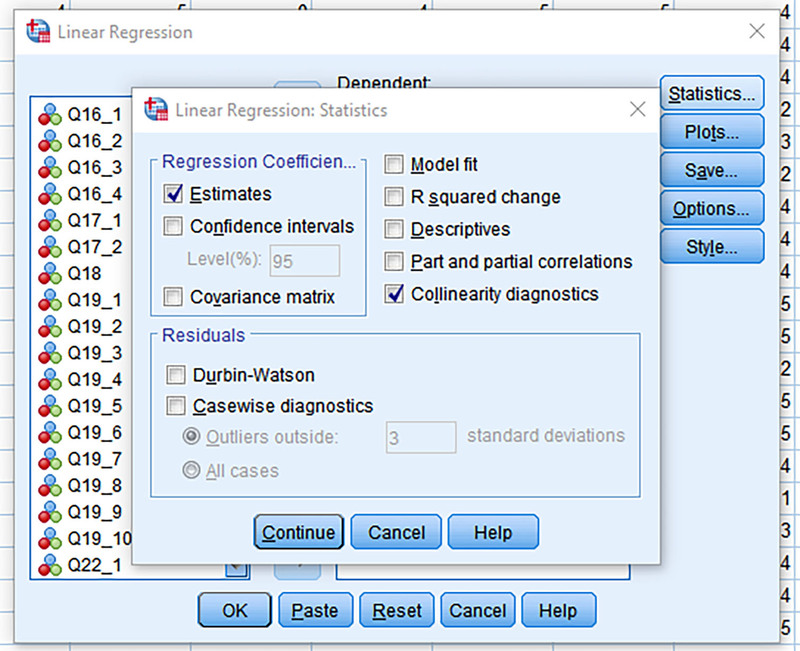 Select Regression -> Linear (Figure 4). 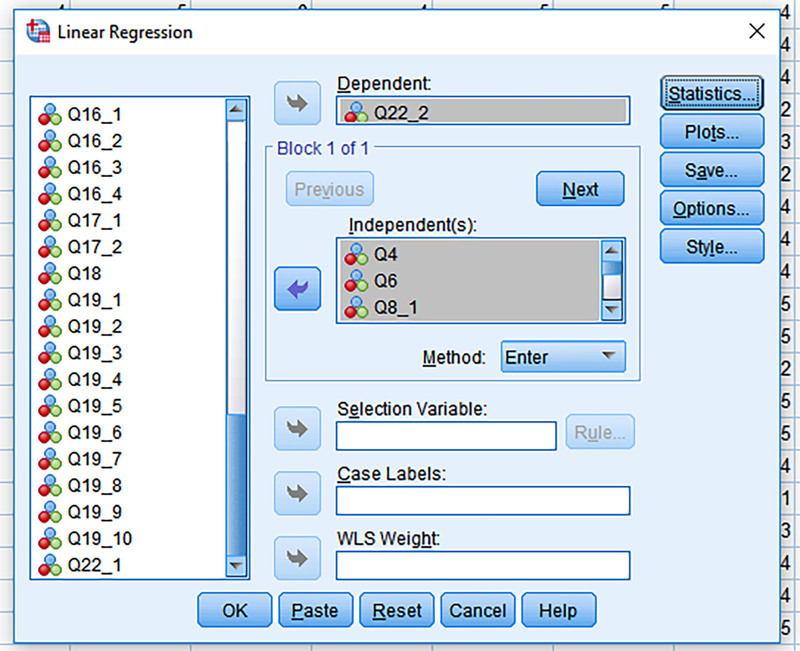 Pick one variable to be the Dependent Variable (DV), and then load the other variables in the Independent Variables (IV) block (Figure 5). 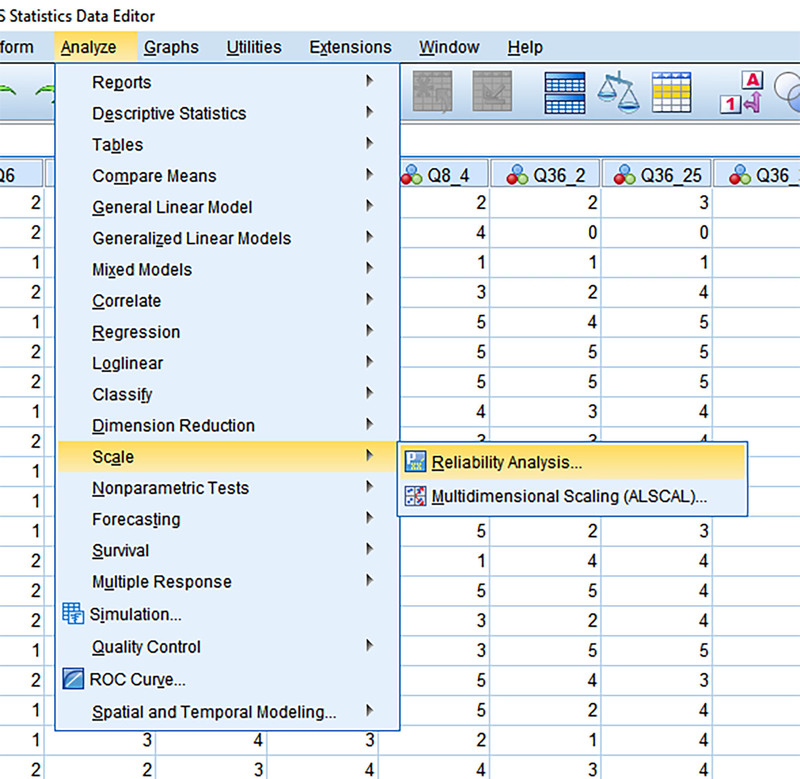 In the Statistics area, select the “Collinearity diagnostics” box (Figure 6). On the whole, though, this data works. There is some degree of multicollinearity but not excessive amounts. There are sufficient cases, and there are sufficient variables (items). Again, the assumptions of an “exploratory” factor analysis is that the researcher does not have initial hypotheses about factors in the data. There are no applied theories or frameworks or other a priori assumptions. There are no hypotheses being tested with the factor analysis. (If there were a priori assumptions, then the type of factor analysis being conducted would be a “confirmatory” factor analysis. The process would be the same, but the analytical approaches would be different.) 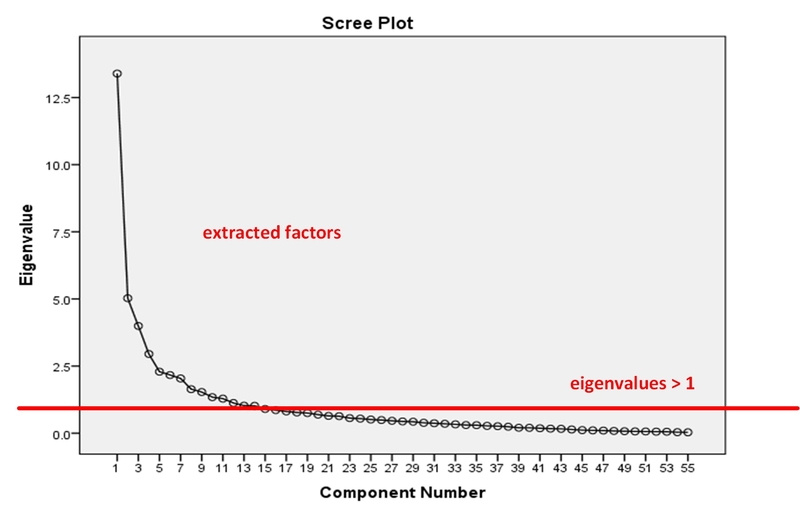 Figure 7 shows how to start a factor analysis. As noted earlier, the KMO indicates how likely it would be for this dataset to enable some factors (sub-groups) to be extracted. A KMO score would ideally be 0.80 or higher, and in this case, rounded up, this dataset just makes. The statistical significance for Bartlett’s Test is sufficient (Table 2). A study of “communalities” shows how much an item correlates with all other items, and Table 3 shows some fairly high correlations, which suggests some communal coherence among the variables. Figure 8 shows a scree plot. This line graph shows the loadings of extracted factors above an eigenvalue of 1 (where the red line is). This visualization shows the 14 factors that had fairly significant loading by variables in this particular dataset. Table 4, the “Total Variance Explained,” shows that this factor analysis can explain a cumulative 73.872% of the variance in this dataset. 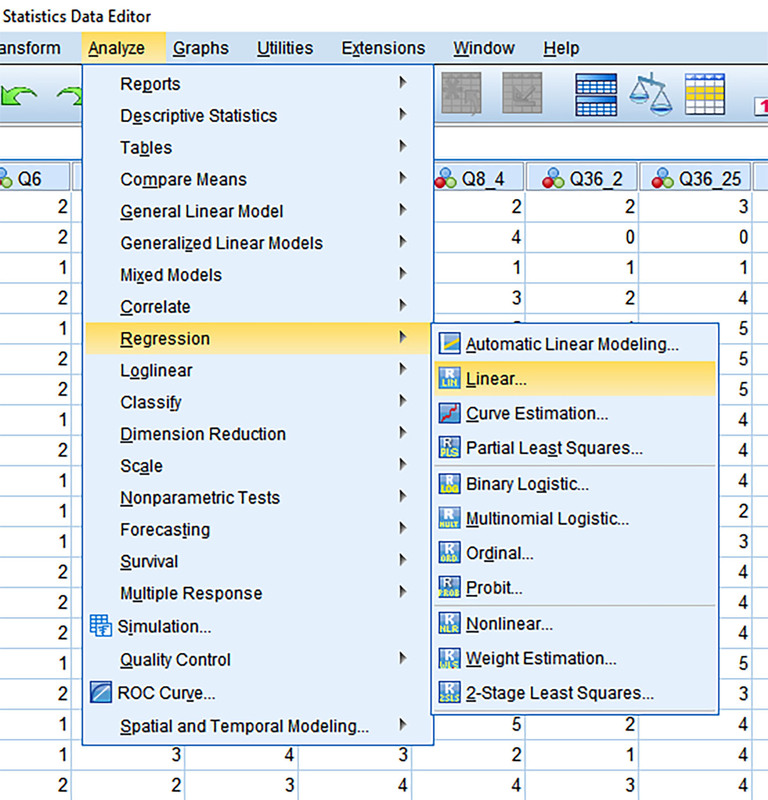 In Table 5, the Pattern Matrix, the fourteen “common” factors may be seen in the column headers in descending order. 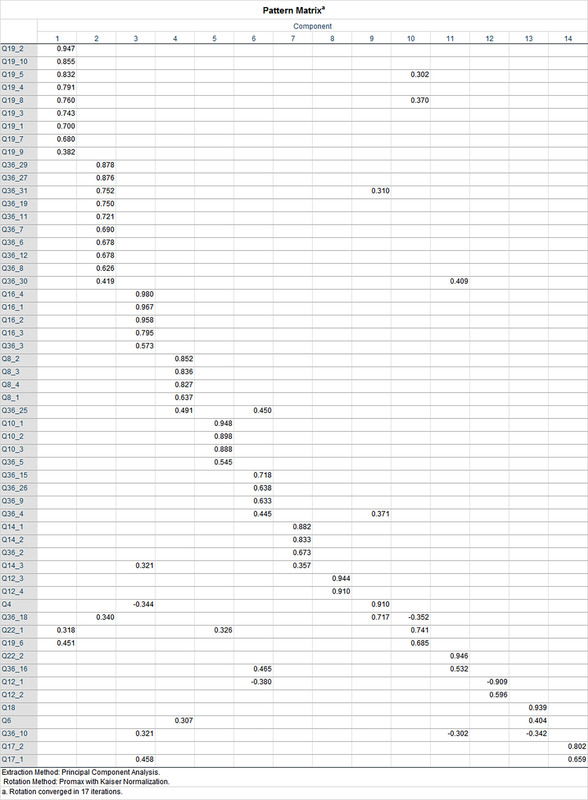 The coefficients in the pattern matrix show how the variables in the left column load to the respective factors. Cross-loadings, when variables load to two factors (with less than a .2 difference), are usually addressed by eliminating the variables sequentially and seeing if that may be done without ending up with a failure to converge in 25 rotations. The variables with problematic crossloadings are the following: Q36_30, Q36_25, Q36_4, Q14_3, Q36_18, Q22_1, Q36_16, Q6, and Q36_10. If the variables cannot be removed without causing problems in the rotation, then another approach is to raise the threshold for inclusion of loading. In this case, the loading coefficient was set to 0.4, which resulted in a much cleaner pattern matrix, with only three variables cross-loading. Increased cumulative variance was explained (74.244%), with 14 factors. Ideally, names for these factors (components or dimensions) should be much more parsimonious. Finally, some researchers test the reliability of the respective factors by bundling the respective variables underlying each factor and running a reliability analysis on them (to see how coherently the respective factors are describing a particular construct). For this, Cronbach’s alpha is captured as a representation of reliability (Figure 9). Figure 10 shows the selection of the variables that loaded to Factor 1. The reliability analyses result in a Cronbach’s alpha score. The general cutoffs suggest that .6 and over is acceptable, .7 to .9 is good, and .9 is excellent… in terms of how well the variables represent a coherent construct (or factor). If the numbers are lower than .6, the reliability of the elements representing the factor construct is unreliable…and may not be indicating a coherent or valid component. Table 7 communicates the descending order of reliability of the factors. Factors 9, 12, and 13 were not considered reliable. Ideally, the exploratory factor analysis would be explicated in depth in a research context. The underlying survey instrument would be available for analysis. The data would be fully explored in other ways beyond the EFA. How respondents interacted with the survey could be mentioned, and light item analysis may be done. In this case, the data was fairly dated. 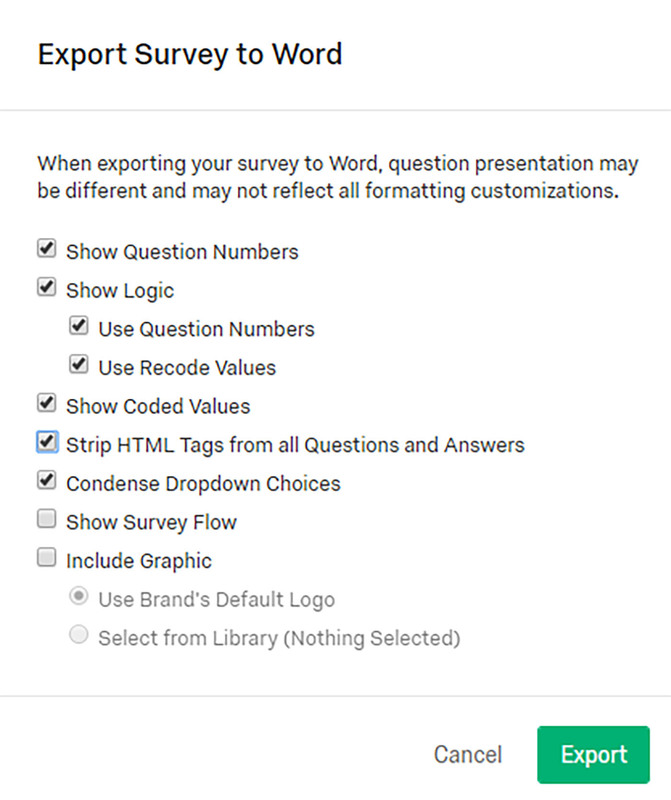 It looks like the original online survey had been revised after the initial offering, so the downloaded data referred to responses to questions no longer available on the Qualtrics site. (The variable "Gender and ?" points to the missing block of variables.) This data was used as a walk-through, though, and the outputs still make sense even with the known limits to the data. Shalin Hai-Jew is an instructional designer at Kansas State University. Her email is shalin@k-state.edu. Discussion of "An Exploratory Factor Analysis of IT Satisfaction Survey Data (from 2014)"
Version 13 id 1660842 of this page, updated 03 March 2018 by Shalin Hai-Jew. Created by Shalin Hai-Jew.